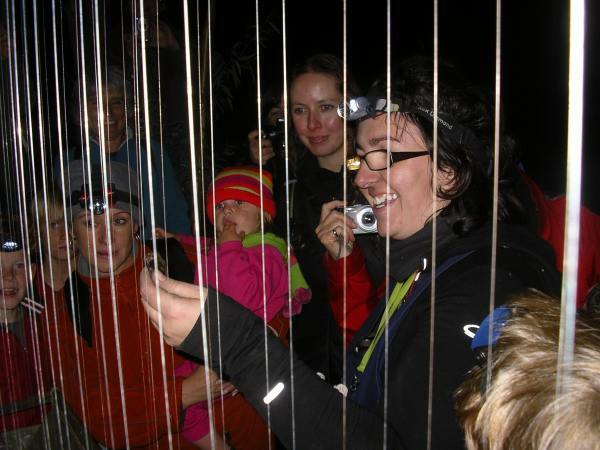 Liza and helpers checking a harp trap. 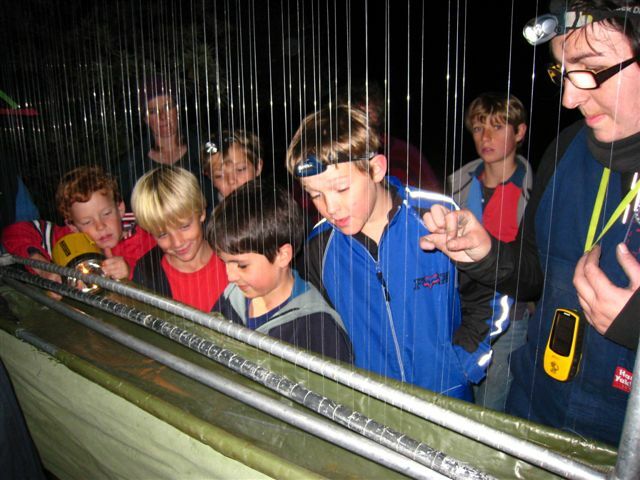 The bats cannot detect the fine nylon strings and so crash into them, sliding down into the canvas trough at the bottom. 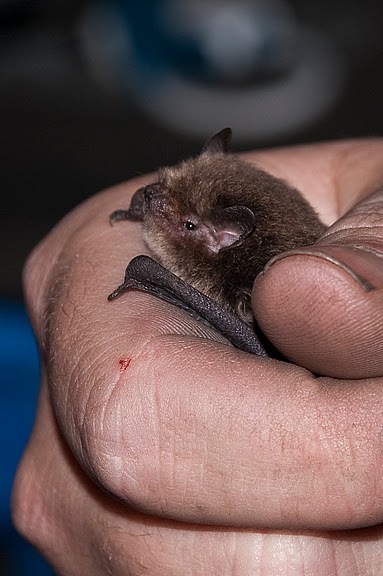 They cannot climb out because of downwardly inclined plastic flaps, so they just snuggle into the canvas and wait. 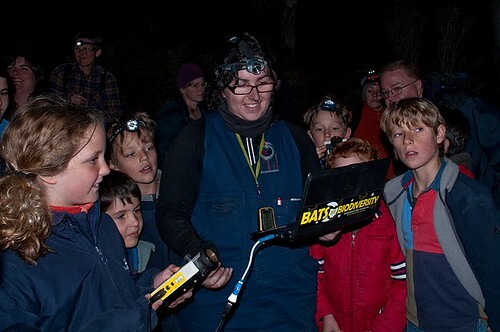 Listening with an ultrasonic bat detector at left, which Liza has temporarily connected to her computer to display sound graphs. 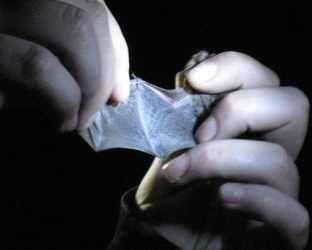 We could easily distinguish three species of bats flying about. 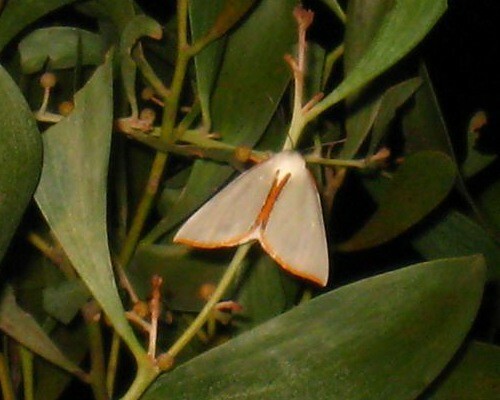 Potential prey - a moth. 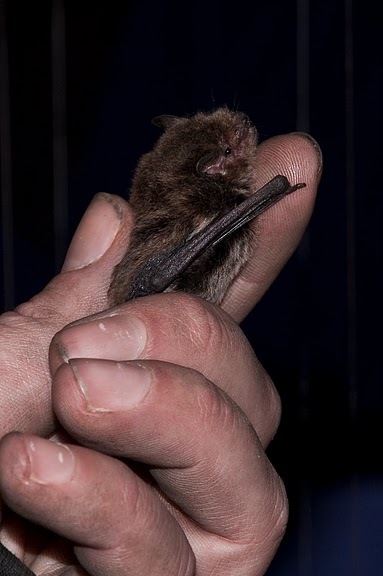 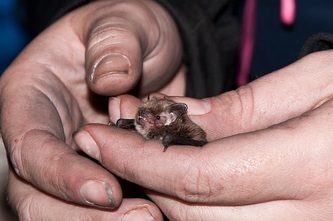 This is a little forest bat, Vespadelus vulturnus, the smallest in Tasmania. 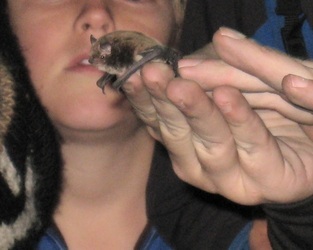 The silver belly and white tragus identify it. A view of the wing.